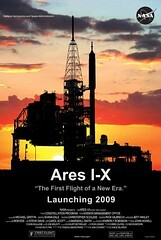 Personal blog of a 40 something wannabe science fiction writer. Alien contact has long been a staple of science fiction writing and I thought it might be a good idea to chat a bit about it with the readers of this blog. Despite the fact that there are many, many movies, books, cartoons, comics and recordings about alien contact almost as soon as you start to discuss the subject seriously people start to get nervous and the easiest way to dismiss their fears is to switch off and call you a “nut” or something equally charming. Photo by Mike Licht, NotionsCapital.comFor a professional scientist to discuss the subject at all is usually a way to signal that you want your career to end. 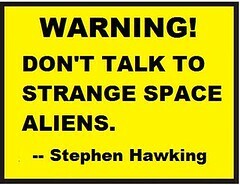 For this reason I want to make clear that despite my disagreeing with Stephen Hawking about his recent pronouncements on alien life and our best ways of surviving alien contact, I admire his courage as a professional scientist in commenting on the subject at all. Until very recently we had a government in the UK that couldn’t hold onto secret documents already inside intelligence agencies, let alone act with enough efficiency to stop us noticing or talking about something as big as alien contact. Let us take this a bit further. As we are currently still developing the ability to launch a successful mission to Mars, how much more advanced would that technology be if it allowed interstellar flight and not just limited space flight in the solar system? To assist in thinking about this, the distance from Earth to Mars is between 55 million kilometres and 400 million kilometres or so. For aliens to arrive on Earth they would most likely need to have travelled from another solar system. If we assume that it would be relatively as difficult for aliens to get to Earth from another solar system as it is for us to get to Mars, then we have a comparative measure of our technological levels. Not perfect a perfect measure I grant you, but bear with me. So how near is our nearest neighbour, galactically speaking? A light year is the distance light travels in one year. Light travels at 186,000 miles per second or roughly 300,000 kilometres a second – whichever you prefer. From this you can see a light year is a very long way indeed – about 10 trillion kilometres or 6 trillion miles. Assuming that the trip to Mars from Earth will be taken at the shorter end of the spectrum (less than 60 million kilometres) we can compare this figure with the ability to get to Earth from our nearer stellar neighbours – for round figures lets go for 4.5 light years and include more than one star system. This means that our alien visitors will have travelled 42,573,287,126,613.6km (4.5 light years). This distance is 709,554 times further than the trip to Mars and is merely the distance to our nearest neighbours. Let us remember that star systems that scientists say could have Earth like planets are even further away. If the distance travelled really is an indicator of the relative advancement in technology then you had better believe that any alien technology will look like magic to us! At the very least we can safely assume that they will be well in advance of present day science and military technology. Personally, the question about alien contact is not really about whether or not the government are keeping secrets, or even whether or not we have had alien visitors already. My question is really is, if aliens landed on Earth, would we even notice? Photo by officer2975Humans have sufficiently advanced technology to watch animals without the animals being aware of our presence. In fact we have technology that can spy on the average human without them being able to notice. If an alien species arrived at Earth and wanted to survey the place; what reason is there to expect that we could even detect them? Their travel technology would be many, many times more advanced than ours and most likely so would other aspects of their society and technology. Anyone expecting the arrival of flying saucers and news channels showing alien footage will most likely be seriously disappointed. The first alien sighting we know of might just be when one says “Hello Mr Obama” and shakes his hand on national television. When I made an earlier post about Blade Runner one of the side-effects was that it got my mind thinking about the subject of voice recognition software such as that used by Deckard in the movie. In a moment of total madness I decided to buy a copy of Dragon NaturallySpeaking speech recognition software from Amazon. The software cost £30 (about $45) and I think it is the single best investment of this amount of money I have made in recent times. In times gone by my typing speed hasn’t been a problem. The reason for this was that when I am writing a short story I tend to consider the words and the context in which they are used to a reasonably high degree. It is probably fair to say that I try to do my first revision at the same time as I do my first draft. Combining the two activities slows me down considerably. As I am now far more active in copywriting and producing websites the exact importance of the word has taken a secondary role when compared to the amount of writing produced and the overall message, or impression, it gives. Due to my slow typing speed producing 5000 words a day or so has been regularly taking me at least eight hours. Speech recognition software has totally revolutionised this. On the Nuance website the company claims that using Dragon NaturallySpeaking is three times faster than typing. In my case this isn’t saying much! I am however happy to report that this claim is true. My daily production has doubled or maybe tripled and the ease of writing an article has increased along with it. Another claim made on the site is that the software is 99% accurate. I have a relatively broad Liverpool accent and in my case I would guess that the software achieves about 98%. The errors the software makes are easily corrected and I can honestly say present me little problem at all. Everyone makes mistakes in typing and even at my snail’s pace of 20 words a minute I did too. Despite these errors in speech recognition accuracy my overall productivity has increased and I am really enjoying writing using the software. While my version of speech recognition software doesn’t quite have the science fiction accuracy of Deckard’s version, I don’t doubt that that they will one day come. When that day arrives sign me up for copy! Getting back to the real world, Dragon NaturallySpeaking has proven itself to be a real boon. I now have a real choice between doubling or tripling my output, or gaining a couple of extra hour’s spare time every day. This is a great position to be in. Another improvement that is worth mentioning is that the software has enabled me to change something about my writing process. I mentioned earlier that my style of writing fiction is to write slowly and consider each word carefully. Using voice recognition software has changed that activity for the better in one important regard. In the past when I’ve sat down to write a first draft of a story I have frequently struggled to keep the overall ideas in mind as I write. This problem was caused primarily by my slow typing speed allowing me too much time to think. Now when I sit down to write a first draft I find it far easier to go with an almost “stream of consciousness” style of writing. Probably for the first time in my writing career I can now sit down and write a full first draft of a short story in one sitting. Of course the writing still requires proofreading and correction of silly grammar or punctuation mistakes. I guess no software will get around this any time soon, but this is still a huge improvement. My previous experiences with speech recognition software have been incredibly frustrating but I am happy to report that Dragon NaturallySpeaking has put a smile on my face. This blog post was written using the software in probably a third of the time it would have taken me to type it out. For anyone that is used the voice recognition capabilities of Windows Vista and were unimpressed I have to say I share your opinion. There is no comparison though between Windows voice recognition and the program provided by Nuance. They really are light years apart. The Standard Edition of Dragon NaturallySpeaking version 10.1 comes with a DVD of the software are minimal manual and headset microphone necessary to import voice commands. This is a complete package as you really do not need a digital voice recorder. The software is a class leader in voice recognition and in my opinion is a bargain at around £30 ($45). If you’re a writer looking to increase your productivity you could do a lot worse than giving Nuance’s Dragon NaturallySpeaking speech recognition software a try.